WINNIPEG, April 1, 2019 /CNW/ – Artis Real Estate Investment Trust (TSX: AX.UN) (“Artis” or the “REIT”) provided an update today on its normal course issuer bid (“NCIB”) activity in March 2019. 4,800 Series G units at a weighted-average price of $21.73. 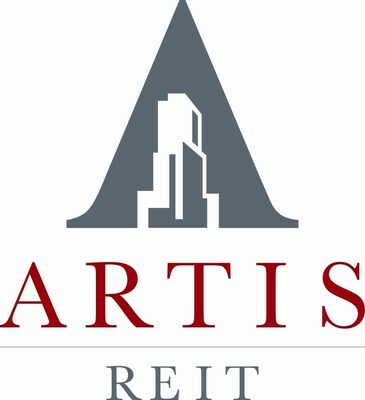 From November 1, 2018, when the REIT announced its intention to purchase units through its NCIB, to March 31, 2019, Artis has bought back 9,147,739 trust units at a weighted-average price of $10.26, 36,800 Series A preferred units at a weighted-average price of $21.44, 38,300 Series E preferred units at a weighted-average price of $19.91, and 33,000 Series G preferred units at a weighted-average price of $21.04. As of the date hereof, there are 144,848,306 trust units, 3,417,700 Series A preferred units, 3,966,200 Series E preferred units and 3,169,000 Series G preferred units outstanding. The REIT has an automatic purchase plan in place which allows for the continuous purchase of units and preferred units under its NCIB, including during normal blackout periods. Artis is committed to maximizing its unit purchases under the NCIB for the full 2019 year to the extent that the REIT’s significant discount to NAV persists. This press release contains forward-looking statements relating to the REIT’s normal course issuer bid, automatic unit purchase plan and potential future purchases of the REIT’s securities by the REIT. There can be no assurance as to the future market price of the REIT’s securities or the number of securities that the REIT will purchase under its normal course issuer bid.